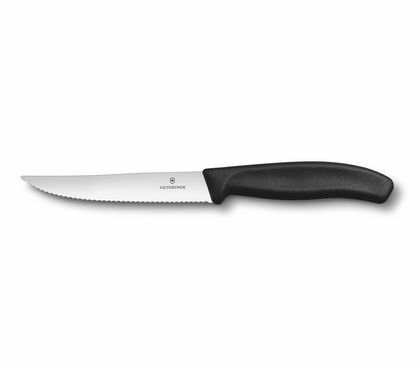 The Victorinox Steak and Pizza Knives are designed to look great on the table and feel great in the hand. 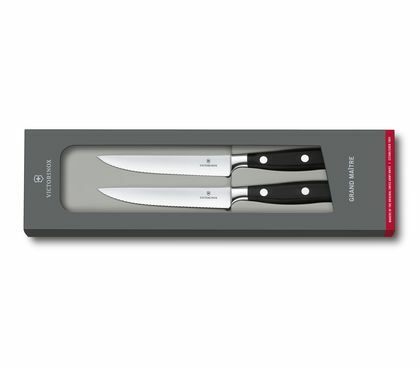 Their ultra-sharp blades can handle anything on your plate, the high quality steel ensures the blades will hold their edge longer, and the excellent balance means they'll disappear in your hand. So every time you sit down to the table, you can focus on what matters most – enjoying a meal together. 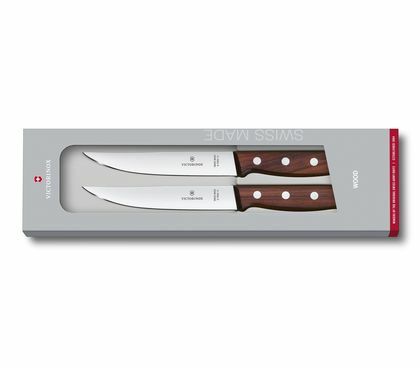 We are happy to whet your appetite with a few facts and benefits about our steak and pizza knives. 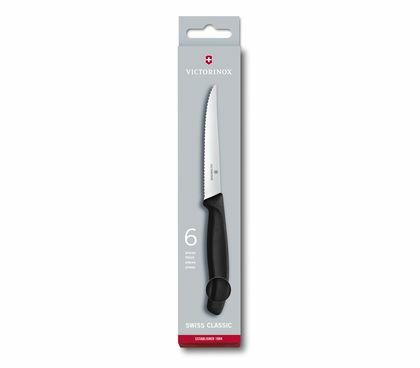 At Victorinox, we always strive for perfection. 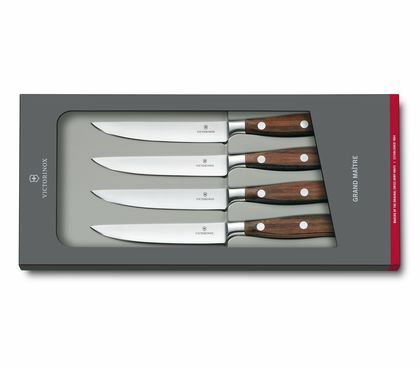 That is why we expanded our kitchen knife range by a few experts which complement the cutlery in a valuable way. 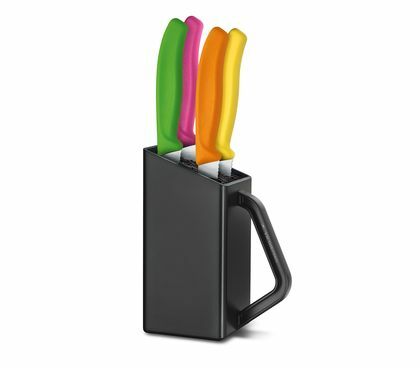 Steak knives and pizza knives are a pleasant luxury—one you can no longer do without once you have come to enjoy the benefits. 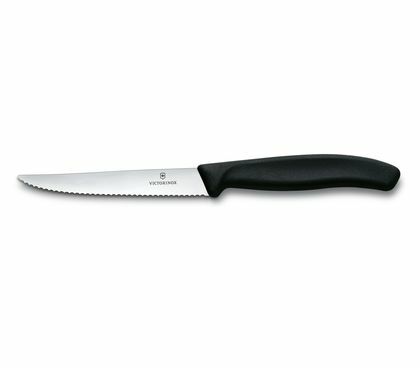 There is more than meets the eye: The name says it how it is—steak knives and pizza knives are qualified specialist with a clear purpose. 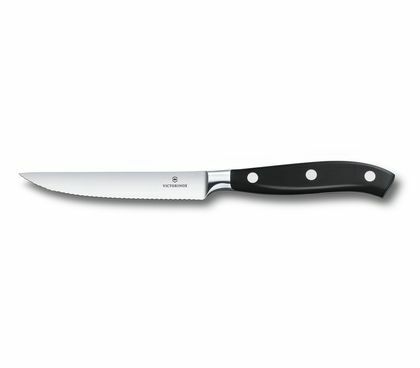 In addition to that, they also are very useful for slicing ham, onion pie or quiche. Craftsman’s delight: Because we Swiss value good food, we will do anything to develop practical kitchen helpers which help us maximise pleasure and flavour alike. 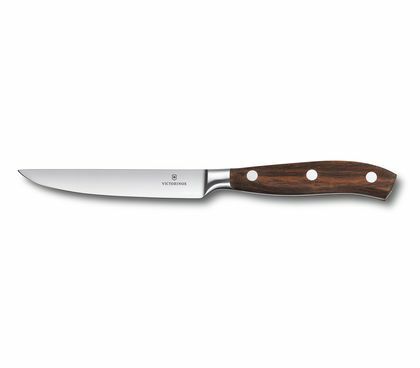 Our steak knives ensure that the fine fibres of delicately aged meat are not affected and the meat remains wonderfully juicy. Thanks to the slim blade and fine cut, portioning becomes effortless. Practically undefined: Cutting the pizza the traditional way with a pizza roller and then eating the slices with your hands is not a faux pas; however, there are certainly arguments for cutlery. 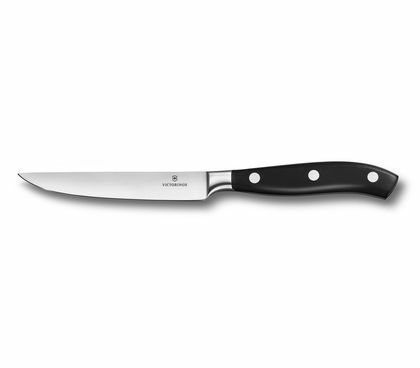 If occasion calls for the elegant Italian, you can simply use the steak knife as a pizza knife. The dough and topping are not separated, do not slip off and are not ripped by the knife pushing and sliding off onto the plate. 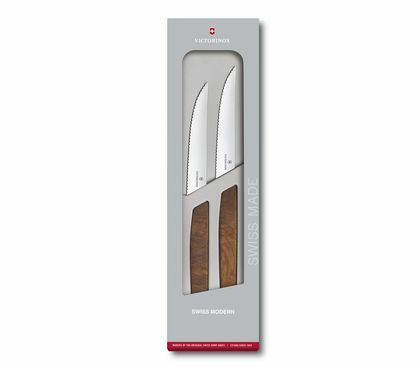 Created through astute ideas: The extremely hardened steel forming the robust blade of our steak knives and pizza knives tackles ever meat fibre and every crispy pizza crust. 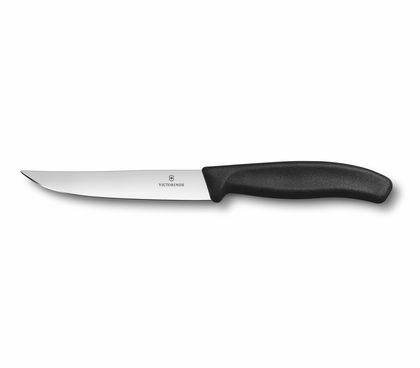 Knives with a serrated blade are equally well-suited for both applications. 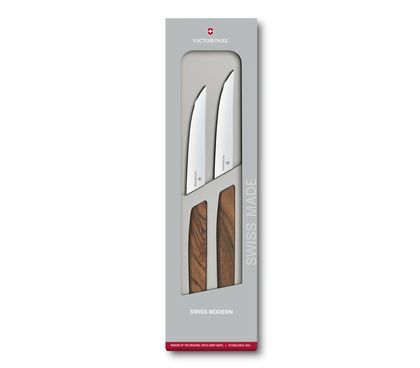 In comparison, a smooth blade supports a particularly exact cut and is therefore ideal for enjoying a piece of juicy meat.